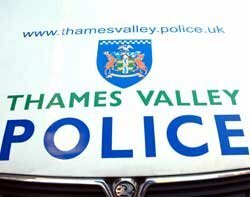 Thames Valley and Hampshire police authorities have agreed to share ICT support and infrastructure, with all IT workers now employees of Thames Valley Police. This is an attempt to meet government spending reduction targets while protecting other services. The police authorities say the "overarching priority is to ensure that we deliver a policing service to communities in the Thames Valley and Hampshire and the Isle of Wight that is as resilient, efficient and effective as possible, at a time when we are faced with considerable financial constraints". "The creation of this collaborative function will enable both forces to realise cost reductions that would not be achievable individually and maintain the specialist capability and resilience." Amanda Cooper, director of Information Science and Technology at Thames Valley Police says the agreement builds on previous IT joint ventures. "We have built on the success of the first joint ICT project between the two forces - the IT Service Desk, which went live in May 2009. Joining together our ICT support department and our ICT infrastructure will provide the forces financial savings and a foundation upon which to build further collaboration." A report published in July which looked at areas where police forces can save money said a lack of ambition for back-office savings within police authorities could hold back value for money. Despite the availability of shared services platforms and cloud computing, only about 25% of chief constables believed any more savings can be made in the back office. The report, Sustaining value for money in the police service, was put together by the Audit Commission, Her Majesty's Inspectorate of Constabulary and the Wales Audit Office. The report concludes that police in England and Wales could save up to £1bn without reducing the availability of officers. This represents 12% of government funding. Suppliers such as Capgemini and Steria have created platforms to enable different police authorities to share back-office functions. Cleveland Police Authority recently became the first customer of Steria's shared service for police forces. It promises £50m savings over 10 years for Cleveland Police alone. As more authorities join the savings will get bigger.